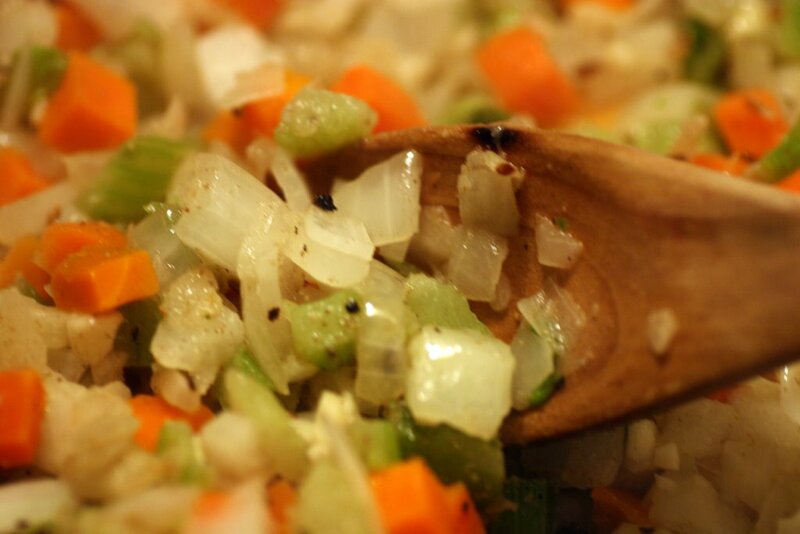 Mirepoix is a great way to start any stew or soup or almost any dish really. It helps bring on many layers of flavor, as there are endless ways to use it. “Our” version is the classic combination, and can be double, tripled, or whatever, so long as the ratio is kept the same. Want to spend a day cutting? Mirepoix freezes very well and is useful practically daily. Your dice should be as uniform in size as possible. Use as a base in endless dishes. It is equally at home dressing up a package of ramen as it is supporting a roast beast in the oven or tossed in a crock pot stew.